On August 21st, the look covered my face. 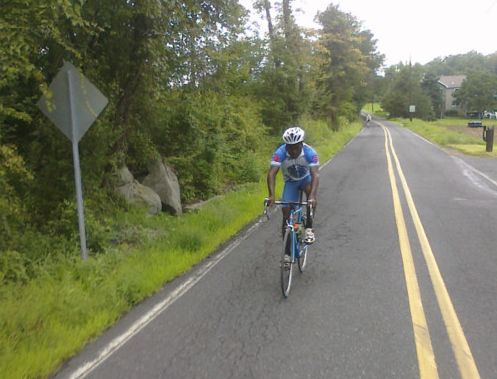 Chris Mason, RCC youth member and captain, had accomplished 100miles— making him Richmond’s first inner-city youth to do so. voted. lets def. help them out this is awesome. so great to see them riding around the neighborhood! Love seeing this group ride past the house each day! I saw this group around Chimborazo Park while I was out running and wondered what they were up to. Very cool. I’ll cheer them on next time. Chris and 8 other youths participated in the Philly Livestrong Challenge as part of team M-Power and they helped lead the team towards winning the Team Champion Award as M-Power raised almost $140,000 for the Livestrong Foundation. M-Power is looking forward to even more RCC kids joining us in Philly next year!